$1,899.99 Seen a lower price? 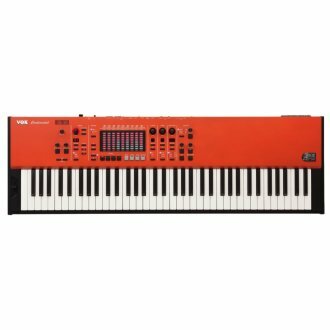 The Vox Continental 73-Key keyboard uses a simple and intuitive interface that allows quick accessibility of every function. The high-quality sound engine section is centered on organ, electric piano, and acoustic piano, and provides a wealth of stage-ready sounds. In addition, the Continental features a powerful effects section to enhance these sounds, and an analog valve drive powered by Nutube, the cutting-edge vacuum tube. It's an instrument that perfectly fits your live performance requirements for a variety of styles including rock, pop, jazz, and more. Three electric piano sound engines are provided: Tine gives you the sounds produced by striking a metal bar, Reed models the vintage electric pianos that strike a vibrating reed, and FM creates the iconic electric piano sounds of the '80s. You'll enjoy high-quality E.piano sounds with realistically simulated amp and cabinet modeling, and carefully sampled overtones.  - The greatest distinction of the VOX Continental's interface is its revolutionary LED-equipped touch bars that shift function according to the situation. - Control the amount of change in volume and tone produced by your keyboard playing dynamics. - 73-key model: 939 mm x 350 mm x 86 mm/ 36.97" x 13.78" x 3.39"
Available until 11 PM (EST) today. Mention special code 1ZT-YCZF when you call.